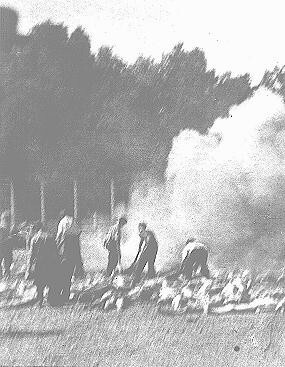 Cremation of corpses at Auschwitz-Birkenau. This photograph was taken clandestinely by prisoners in the Sonderkommando. Poland, summer 1944.